This VW Bora has had the same owner since 2008. 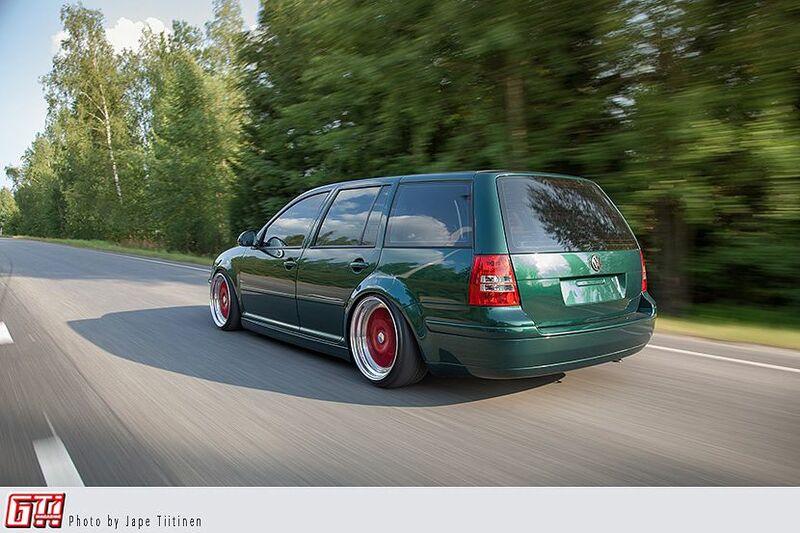 The owner, Juho, bought it when he was on the market for a practical family car. The first year was spent just cruising around, but then all hell broke loose. Not because of the infamous 1.9TDi, mind you. Sometimes it's just pure lust. The lust to modify. 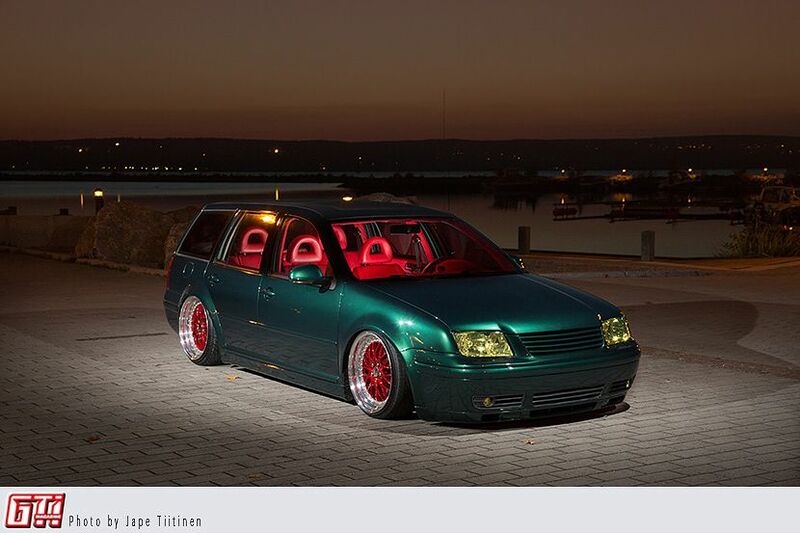 While the main attraction is obviously the looks, the engine has been modified too. The previous owner had swapped the turbo to a Garrett GT1749V. Juho took this a little further, and after some mods the engine now produces 45hp more than stock (was 115hp, now 160hp). During the seven years of coexistance Juho and Bora have fitted many shoes, but these seem to fit the best. Kerscher CS 3-piece wheels are 9.5x18”. Juho dismantled these rims and noticed, that when you swap the lips across you can create two 9x18” rims and two 10x18” rims. The wheels were properly renovated and buffed, and the hubs were then painted candy red. 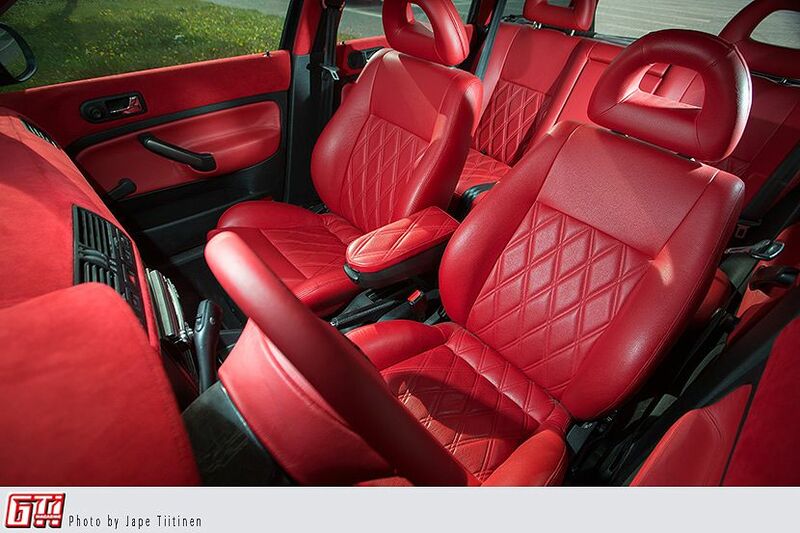 Juho took the car to Autoverhoomo Custom to get a little fix to its interior. Things got a.. little out of hand, to say the least. 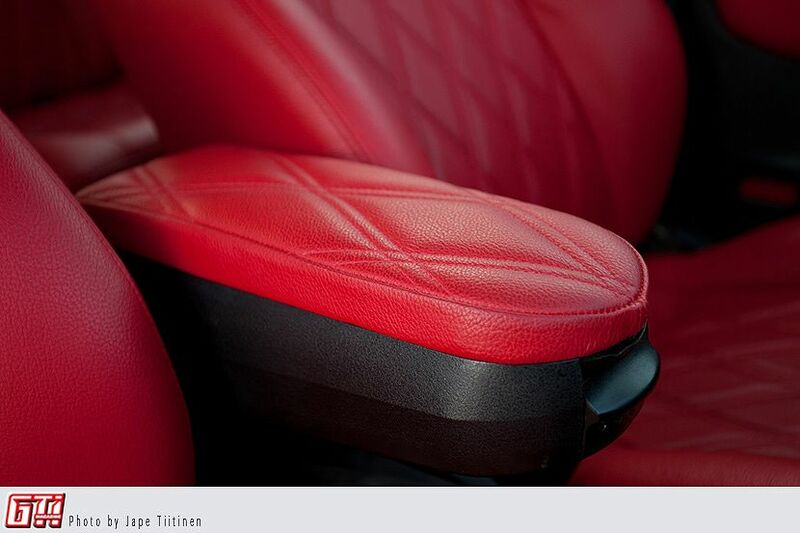 The seats were upholstered with red leather avec diamond stitchings. While the seats were remade, it was necessary to make other mods to the interior too. The door cards and the steering wheel got a nice little leathery facelift also, as did the armrest posing in the picture. The interior was finished in the year 2014. 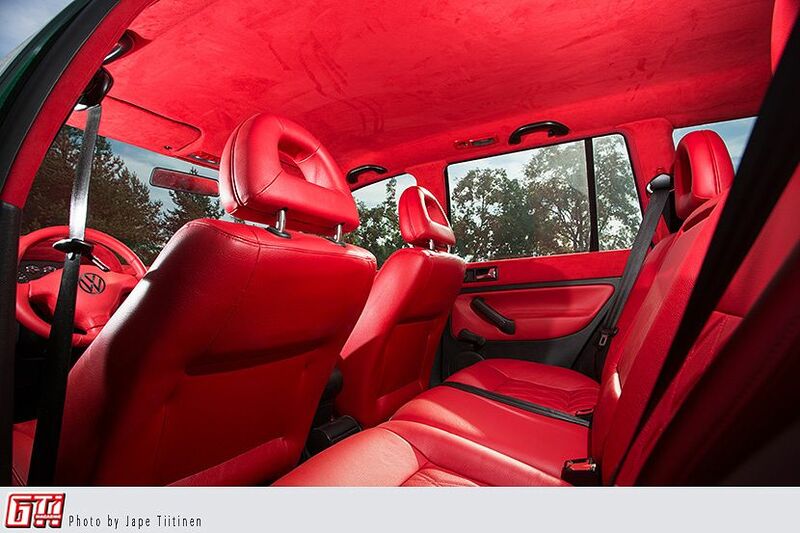 The roof, dashboard and the pillars were wrapped in red alcantara, which completes the flashy look. There are two sets of component speakers hidden in stock locations, and the car has been properly dampened to ensure optimal audio experience. 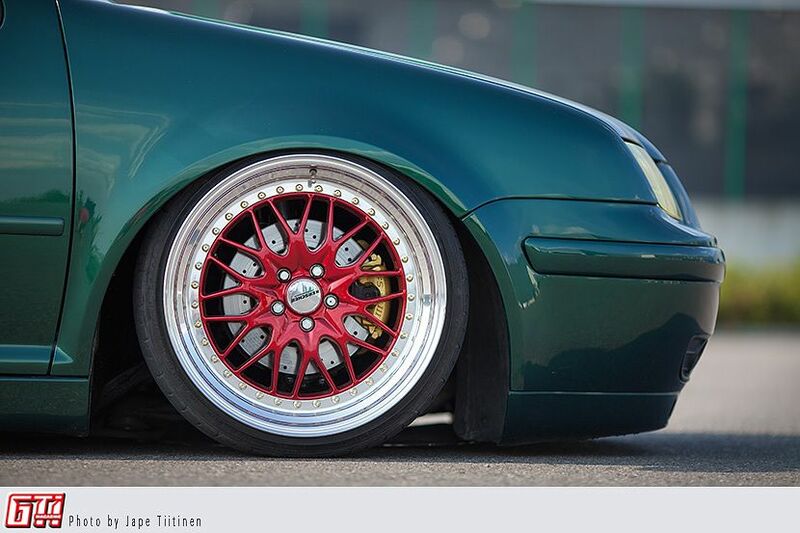 Air suspension, the age old trick for getting the looks and a comfy ride home. Airlift Autpilot V2 controls everything around here currently, after a violent incident with its predecessor (V1). The front bags (Aerosport) have been wrapped over coilover struts, while the rear bags (SS5) are very much custom mounted. The compressors and the valves have been hidden in the spare tire well, so the functionality of an estate car remains. Alpine IVA-D105R DVD-player, Focal Expert PS165EX component speakers, Ground Zero Competition GZCW 54Y component speakers, Mosconi Gladen One 120.2 amplifier, STP Gold dampening material from floor to roof, GPS locator. 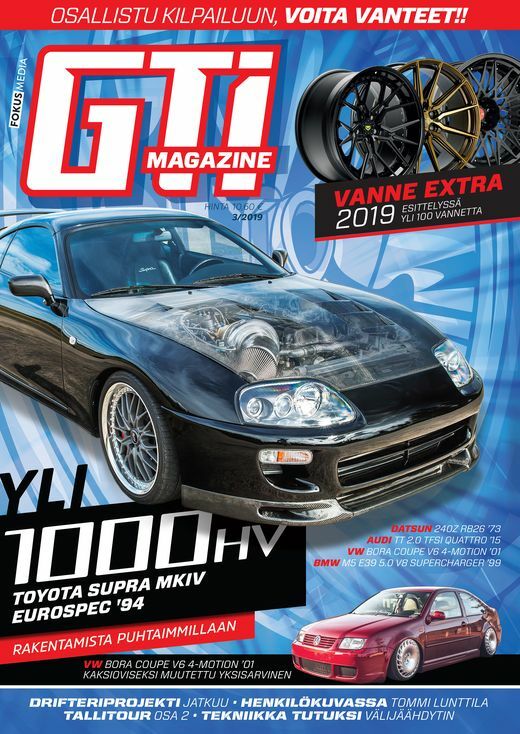 Mark Art (tinting and wrapping), Lowtoys/ Tomi Olli (air suspension components), Autoverhoomo Custom / Mika Volanen (upholstery), Etra (air lines), Hifix / Joni Hirvonen (audio), Bike & Tuning / Teemu Rossinen (arch rolling), Tmi: Sami Vesanto (buffing), Anssi Reimi, Janne Arjanka, Tomi Äikäs, Markus Laakso, Pekka Vikman, Toni Terenius, Nikolas “Niksu” Nikula, Esa Rämö. My loved one, who has endured long nights in the garage. Also thanks to everyone, who's had a part on this project, but wasn't mentioned.